Last Christmas, I was offered a photography course at Stage Photo Paris. Among all the different courses that were available, I decided to go for the night photography course, because I thought that from a technical point of view, it would be the most challenging. One of my greatest passions is photography, digital photography to be more precise. A couple of years ago I got a digital SLR. 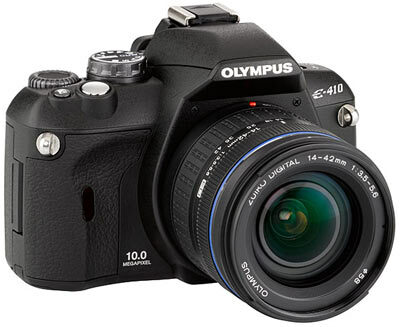 The camera, an Olympus E-410, comes packed with a wide range of nifty features, while managing to stay fairly compact. Of course, it’s got a few weak points like it struggles with exposure under certain conditions, and, like most non-professional SLRs, it’s not very good with white balance. This being my first ever SLR, I find this camera to be a great choice. From the very beginning, I tried hard to avoid using the so-called “automatic” modes, and I began using priority mode. Every time I tried using manual mode I would almost always end up with a horrible result. From the outset processing techniques such as HDR appealed to me, but I obtained mixed results. The date of the course arrived, and I got there, late (thanks a lot RATP!) and after a brief introduction and a cup of coffee, we all headed to where we were going to spend the next 5 hours taking pictures: Bercy. I have to say, Bercy is probably one of the places in Paris which I hate most, but I was surprised to notice how photogenic it is at night. The mixture of very poorly lit areas with modern office buildings makes a very interesting blend of light and dark. We first started off at the Palais Omnisports de Paris-Bercy. It’s a horrible building, shaped like a sort of aztec pyramid and covered in grass. It doesn’t get much better at night and there were huge lights that made it difficult to point at the building while avoiding them. The surroundings, however, are a lot more interesting: there’s a skate park with some excellent graffiti and some sort of carved monument whose sole purpose seemed to be to serve as an improvised toilet for the regular alcohol drinkers that the place received. All that was bathed with inexpensive public street lighting, which created some great shadow areas and shapes. We then moved onto the Passerelle Simone-de-Beauvoir which I really enjoyed; the water, the lights, the metallic shapes and the occasional passing boat offered plenty of material to work with. There was even a busy road near there, so I gave night motion blur a try. It’s getting old, I know, and I don’t even think I made a great job of it, but I’m still quite impressed with the results considering it was the first time I tried it. It’s amazing to see how water comes alive at night, and the wide variety of colours at Bercy really helped to produce some pretty special pictures. To top it all off, we then moved to a construction site. I absolutely love those kind of settings, dark and gloomy, metal, concrete and raw shapes. I decided to take some pictures with almost no light, huge exposure times and very low ISOs to achieve great effects. Some images work much better in monochrome, others probably could do with HDR or some other processing of some sort, but I decided to keep it simple in the end. We headed into a dark alley, the river by our side, which offered great panoramics of the river, and some brilliant perspective photos. I tried to give my pictures a bit of a subject, perhaps this could be the perfect setting for a 40s film noir, or the surroundings of some dark hard-rock music venue, so I focused on trying to find the perfect scene, the perfect picture (don’t we all?) and let the camera do the talking. It was getting very late, so I decided to spend my last few minutes using the alley as a platform to look out onto the Quai de Bercy, the Ministry of Finance and the odd passing boat, and of course, Paris’ red night sky. I was even lucky enough to get a brilliant motion blurred picture of a passing tourist boat, with very bright side lights. Feel free to take a look at the full gallery here.